Once again it has been a very long time between posts. I was prepared to write the typical entry this week journaling the progress of the house, when I received a very important email from my Mother that took my thoughts to a different place and changed the topic of my post. My Mother wrote to thank us for an article that Rod had sent to her. She went on to say that she and Bob had been wrestling with the thought of selling the ranch and all the “what ifs” that went along with with the decision to sell. The ranch originally belonged to Bob’s Mother and Father and has been very near and dear to his heart. They questioned selling the ranch at this time and especially in this economy. If it was not the right decision it could potentially affect us all. After much deliberation they both decided that in the end the ranch should be sold. Let the chips fall where they may, never to look back and say should have, could have, would have. 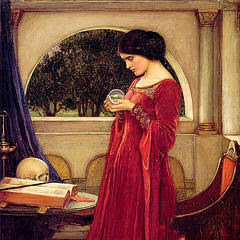 None of us has a crystal ball and can only go forward with our decisions in life and hope that they are right. The key is no regrets and enjoy the ride along the way. We will always learn no matter what the outcome is, good or bad. After so many questions from Family and Friends, even strangers asking why we chose Ecuador as our final destination, I decided to address the questions and take a very long hard look at our decisions. I wanted to share my own personal thoughts about our choice to move to Ecuador and while I can’t speak for anyone else, I can only make my own observations. You can read blogs about Ecuador all day long and find people that have made the conscious choice or are thinking about making the move to Ecuador. You will hear all kinds of reasons for doing so. The weather, cost of living, a new adventure, inexpensive health care, the scenery, so on and so forth, and while all of the above reasons factor into our decision as well, I have had to go deeper into our reasoning and pull out some of the realities of our decision. So for all of you that ask why? Here we go. In our minds trying to retire in the U.S. would be a tough go and would not afford us the financial freedom that we longed for in our retirement years. The four of us have all been self employed a good part, if not most of our lives and have never worked for the government or some big corporation that offered benefits, 401K’s, stock options, etc. Our worth has been self made be that what it is. It was a very scary reality that should any one of us encounter a major health issue, savings could be depleted rapidly, possibly property as well. None of us wanted to live the golden years of our lives with that thought hanging over our heads. It was also important for us to remain as independent as possible as we aged. If we needed full time care we would want to have the funds to provide it. So yes health care and an independent life style was a major decision maker. Next and one of the most important things to us is that we really seemed connect with the expats and the way of life. The expats that live in Ecuador or any other country I imagine are a like minded set of folks that are risk takers like ourselves. After all you have to have a big sense of adventure and a longing to experience new things and a new life style to leave your friends and family behind and move out of the country in the first place. Rod and I have always gone against the grain and it was refreshing to find a whole group of people that had the same mind set. I wont dwell to much on the wrong turn that I believe our society has taken, but as my Mother says “Living in Ecuador is like returning to a kinder more gentle society”. People are more respectful of each other. The news is not full of murders and crime. People aren’t screaming at each other and using profanity as a means to get their point across. Everyone seems happy and not stressed out to the max. People enjoy each other and the lifestyle is much healthier, except of course for our Tutto Freddo habit. Last but not least we wanted to afford a quality of life that we had always dreamed of. Don’t let anyone tell you that you can live in Ecuador for next to nothing, this is not true. What you can do is live there less expensively than the U.S. I suppose you can also live there as expensively as the U.S. depending on your life style. We however do not plan to live meagerly or extravagantly, just somewhere in the middle. We only wish to enjoy our house, our friends, be able to do the things we love and travel within as well as outside of the country. If you have read our blog from the beginning than you know that we made the decision to purchase our property the day that we departed Cuenca to return to the States. This may seem a hasty decision to some, in fact looking back it seems a hasty decision to us as well. I think in the back of our heads we knew that if we returned to the States without a commitment, life would happen as it tends to do and the dream of moving to Ecuador would gradually fade away. Of course it didn’t hurt that we fell in love with the country on our first visit and the house fit the bill perfectly for our needs. Leaving your family and friends and moving to a foreign country, especially one that does not support English as the main language is not for everyone. At times it is scary and I have to remind myself of when Rod and I moved from Houston Texas to Huntsville Alabama a very long time ago. Wow what a culture shock that was. It might as well have been a foreign country and it seemed like it had a language of its own. The lifestyle was much slower than what we were used to, there were not that many restaurants, no really nice grocery stores and shopping was the mall or nothing. Our first house was out in the middle of what seemed like nowhere. We were much younger at the time and couldn’t wait to get out of Alabama. We looked long and hard for other places to move, but the longer we stayed the more Alabama grew on us. We have now been here over 21 years and absolutely love it. Home is what you make of it no matter what. I know that there will be adjustments moving to Ecuador as well. There will be times we may be so frustrated with the lifestyle change (and yes there will be a huge lifestyle change) that we will throw our hands up in despair and pine for the modern conveniences of the States. There will be times we want to run back to the States because we miss our family and friends terribly, but I have a sneaking suspicion we may see more of them then we do now as there will now be a place in Ecuador to visit with familiar faces. As I have said before, Mom will have the easiest adjustment as she is more of a laid back “Go with the flow” type person. Rod will probably make the adjustment fairly well as he will have never ending projects with the house and the dream kitchen he has always wanted where he can entertain and get back to his true love of cooking. Bob and I will be the two tough nuts to crack. I feel sorry for Rod and Mom having to put up with us. Bob is pretty set in his ways and even though I am the self proclaimed adventurer I am really a contradiction in terms. I too am set in my ways. I love a good adventure, but I always need my security blanket. I have routines and change can be hard for me. I suspect Bob and I are a lot alike in that respect. There is not a day that goes by that I do not ask myself if we have made the right decision. I have come to realize in life that if you are not asking yourself these questions than you are not living. We just choose to make choices on a grander scale and that is who we are. We are no different from the person who plays the stock market or invests in a business that they expect to grow and in return build them wealth. It is a gamble no matter how you look at it. All you can do is your homework and educate yourself to come to the best conclusion possible. The only difference is that we are investing in our lives not a business, but the end result of both actions is security and a way of life. I hope that others who read this blog dare to dream and grab the golden ring on the Merry Go Round that we call life. Don’t ever let your fears stop you from what you truly desire. The worst thing I can imagine is growing old and saying “I should have tried (fill in the blank).